Tempers are beginning to rise inside the Big Brother Naija house and this is evidenced by today’s heated up quarrel between Cee-C and Alex. While all the housemates were gathered inside the down stairs bedroom discussing about this week’s topic of global warming, an abrupt fight broke up between Cee-C and Alex. The two ladies were yelling very loudly, they insulted each other and called one another all sorts of names after which Lolu quickly jumped in between them and immediately tried to calm down Cee-C as the rest of the housemates looked on. Lolu made it a point to move Cee-C away from the bedroom to the closet room after which he also shut the door. However this some how backfired as some housemates like Leo asked Lolu to let Cee-C back into the bedroom so that she could air out her issues to Alex. And once Cee-C was back inside the bedroom, the two angry ladies proceeded with their catfight while the other housemates were observing and listening to whatever was happening. But what really sparked this fight?? Well minutes later Biggie ordered all the housemates to close all the front doors of the house and remain outside in the garden till further notice, this was when Alex spoke to Rico Swavey trying to explain to him what caused the fight. And minutes later, Cee-C also got her chance to speak to Rico Swavey. Cee-C revealed that Alex told her face to face that she’ll always try to frustrate her in the house. “She has legitimately said to me that I always try to frustrate you”, Cee-C said to Rico Swavey. Cee-C also revealed that Alex started getting on her nerves when she stepped on her bed with slippers, “she stepped on my bed with slippers, is she an animal to do this?, only animals behave like this” Cee-C further stated. 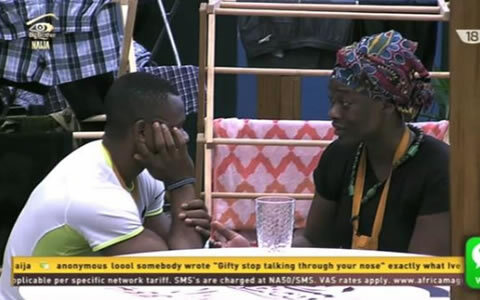 Cee-C further revealed that Alex had used her blanket to clean her glasses and this is what caused the fight today in the afternoon. “She’s not a king I won’t contain any nonsense from her”, Cee-C further told Rico Swavey. Rico Swavey then tried to assure Cee-C that in this house there are different people from different backgrounds with different personalities so she must adjust and contain all these different people. 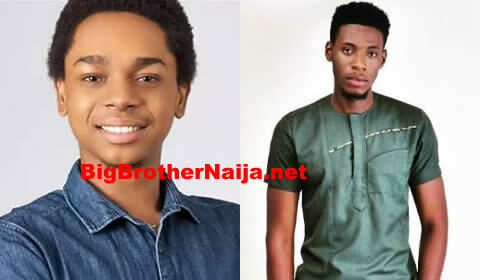 Lets hope these two ladies won’t get at each others’ throats anytime soon..
Who Are You Going To Miss Most Between Miyonse And Soma?? This Cee C should just try and accommodate people, just for 3 months and they are all gone to their separate ways. Not all of them have same upbringing, always showing yourself in a negative way doesn't make you stand out in good light. The negative popularity she is getting will not help her outside the bigbrother house. She is a lady for Gods sake.